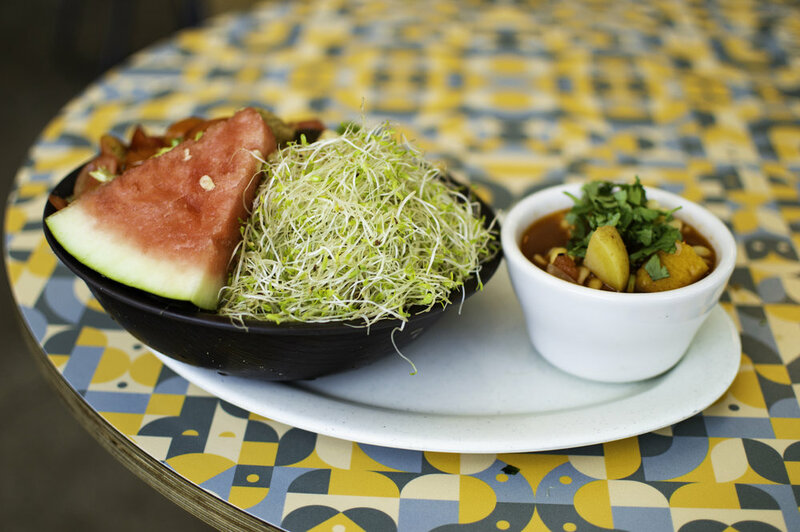 Established in 1983, Mezzo is home to the freshest salads and sandwiches, with huge portions and healthy homemade ingredients. 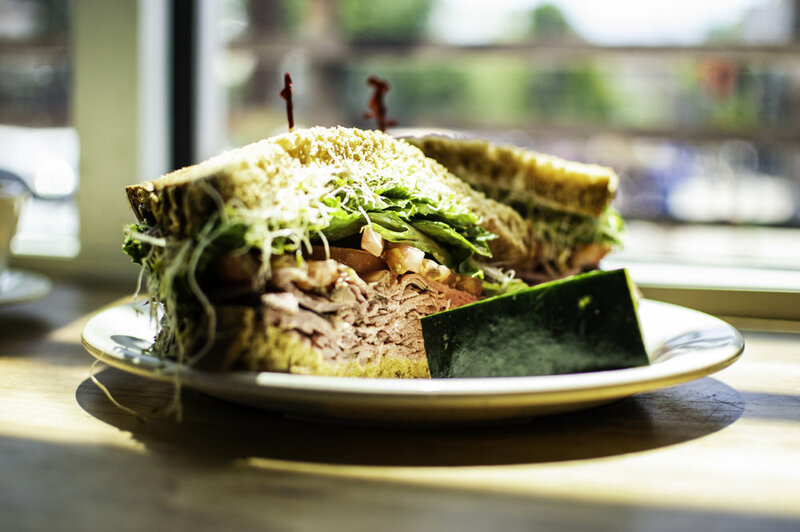 Mezzo is a casual eatery offering salads, sandwiches, and soups all made right in front of you, exactly how you'd like it. 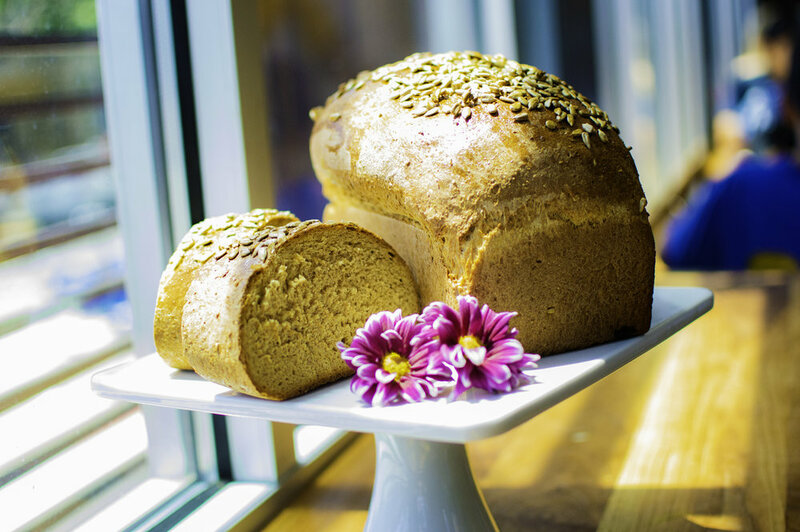 Known for our homemade ingredients and cheery environment, we have been here serving up our delicious honey wheat bread and poppyseed dressing since 1983. Mezzo re-opened in June 2017 after burning down in 2011. Since reopening, we have evolved and updated our name (formerly Cafe Intermezzo), but have kept our menu full of the classics. The updated interior space includes modern touches while integrating some charming and funky pieces from the original cafe. Walking through the restaurant leads to one of the largest outdoor patios in the area with a bocce court and bean bag toss. Mezzo is fully connected to Raleigh's, the bar next door. Come grab a salad or sandwich then head up the ramp to pair it with a delicious local craft beer! 10% gratuity added to large orders. Please email us 24 hours in advance to place a large pick up order. We are happy to accommodate large parties on our patio. Please email us with inquiries and details.